WILL & GRACE is sticking around the foreseeable future—the series has been picked up for a second and third revival season—which means new opportunities for laughs…including gag reels. 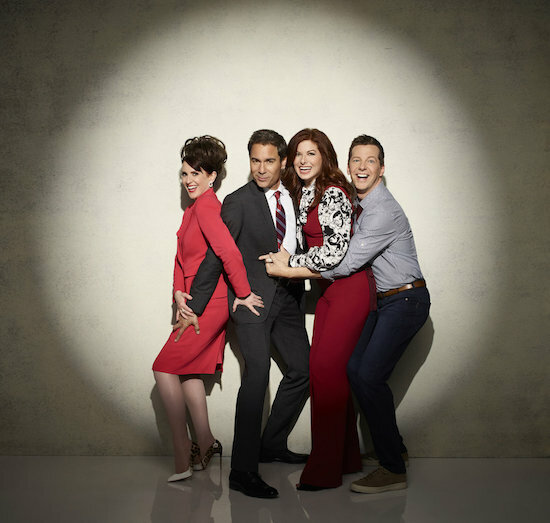 The first revival season is now available on DVD, includes a seven-plus minute compilation as Eric McCormack (Will), Debra Messing (Grace), Megan Mullally (Karen), and Sean Hayes (Jack) and their guest stars (both of the human and canine variety) crack up during the first 16 episodes. Watch the gag reel now!